This is it! The reason we’re in London. Nearly two years ago I bought tickets to Harry Potter and The Cursed Child, the final story in the Harry Potter saga. Tickets to the play were selling like hot cakes and I thought, why not? I’ve wasted money on much dumber ideas than this. 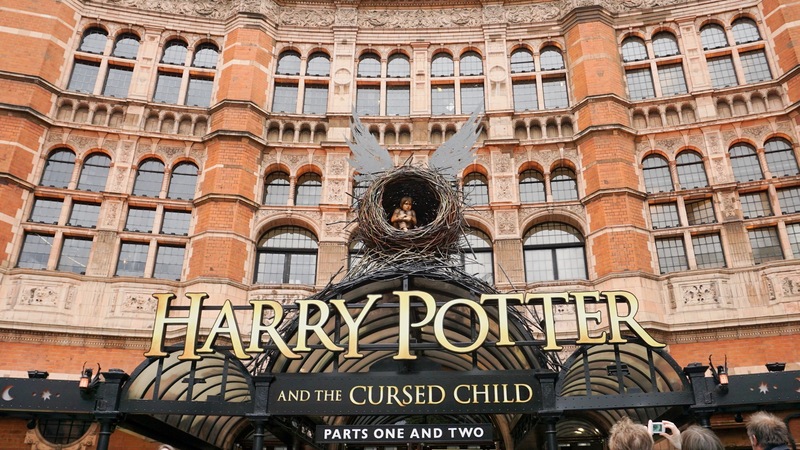 The tickets were non-refundable, non-transferable, and basically un-sellable due to Rowling’s decision to require the original purchaser’s ID at the will-call window. She knows her fans are loyal and didn’t want them paying exorbitant prices for tickets that had been bought up by third-party sellers looking to make a profit. If I couldn’t make it, I would be out a couple hundred bucks (and very disappointed). But here I am! I suppose the life lesson is this: Just buy the tickets — to Thailand, Burning Man, or whatever you’re into. You can figure the details out later. And if it doesn’t work out, at least you tried. You can always make more money, but living out your dreams is priceless. Plus, having tickets in hand, a date set, and money already invested creates a great motivation to save money for your trip!